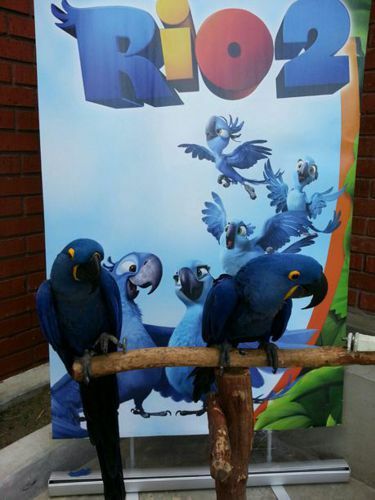 Have Rio themed birthday party with friendly parrots and parrot trainer for a parrot party or parrot show at your Rio themed party or event. Parrot shows are perfect for any theme event and Caribbean themed parties and pirate parties for adults and at children's parties. 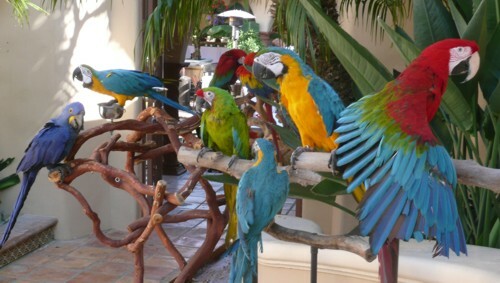 Our parrots have entertained at many events public and private. Great family fun for kids of all ages. The parrot trainers perform tricks with the parrots and also let your guests take pictures holding the parrots for souvenirs. Read letters from our clients. Call us about our parrot stage show for your event today. 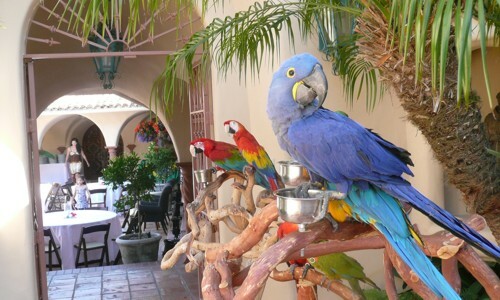 We provide friendly hand tame parrots to your party or event. We provide educational parrot shows and comedy parrot shows for your event or party including full PA system and wireless microphones for large events. Call for details. Disclaimer: Pirates for Parties in no way implies to claim any rights or any kind of affiliation with the movie Rio and Rio 2 and any trademarked or copyrighted characters including, but not limited to those movies, as well as any intellectual property pertaining to the motion picture/s "Rio and Rio 2 ” which are TM and © (or copyright) byBlue Sky Studios, 20th Century Fox and its related entities. This web site and its contents are in no way affiliated with the movie Rio, or authorized or endorsed by Blue Sky or 20th Century Fox , or any of their subsidiaries. Pirates for Parties is not affiliated in any way, nor do they by fact or inference imply to hold any rights or authorization, rights of association or sponsorship or endorsement of the use of any copyrights or trademarks as held by any individuals, or companies in association with any offer. The contents of this site are © the site's owners, all rights reserved.